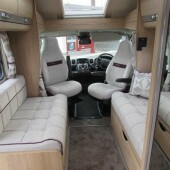 Hire motorhomes in the county of Fife and relish the beauty of one of Scotlands’ most beautiful counties. We’ve got a grand collection of motorhome hires across the ‘Kingdom of Fife’ including towns like Dunfermline, Kirkcaldy, Glenrothes, St Andrews, Buckhaven, Cowdenbeath, and more! Our lenders are keen to hear from cheery wanderers like you! 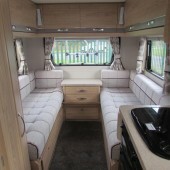 Simply log in to your account, select travel dates and browse through motorhomes in Fife and any location in the UK! Alternatively, if you’d like to rent out an idle motorhome, please create an account on Camperbug and help enthusiastic travellers savour a personal travel experience in the UK! The historic county of Fife began as the Pictish Kingdom and is still called the Kingdom of Fife. Placed between Firth of Tay and Firth of Forth, the country provides many exciting towns and cities to explore. For castles, take a trip to the burgh of Burntisland or St Andrews. The historic city of St Andrews houses a castle dating back to the 1200’s while Rossend Castle in the burgh of Burntisland dates back to the 15th-century! Visit at the right time, and you’ll see the highland games, the oldest in Scotland, in full swing! See these exciting sites plus the fourth oldest golf course in Crail in your Camperbug motorhome hire! I am Elddis195, hire me today! Our super motorhome for hire!